All four of Perry's teams made it through to the afternoon state qualifying rounds and to the Quarterfinals. Colin R., Maxim K. and Sean S. won their way into the finals. They lost in the third run of best out of three. Amazing performance for their first event of the year. We will compete again on October 1st in Marion, OH. Thank you to all who came to support our teams. Event details and results can be found here. 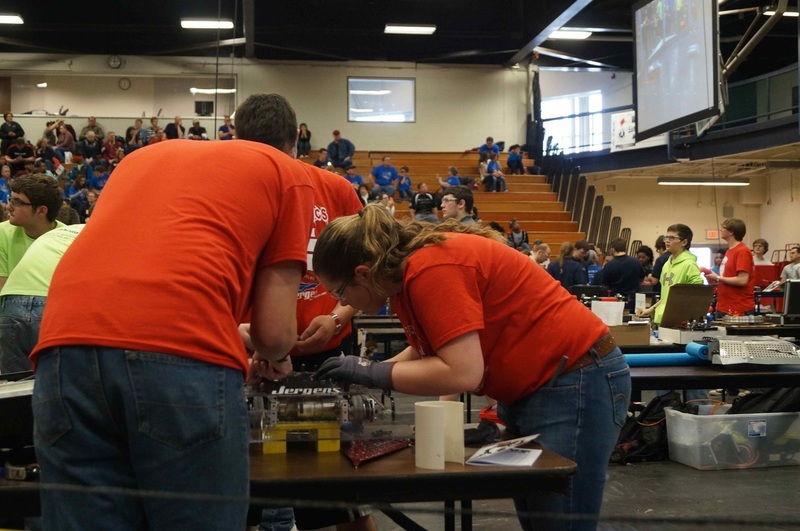 Round 4: PHS Jergens loses to Atech A-Team sponsors include Short Run Machine, Reese Machine, Dalin Mold and Machine, Wecall Inc., Penco Tool, Fargo Machines, Austinburg Machine, Fenton Manufacturing, NOF Metal Metal Coatings, The Spring Team. 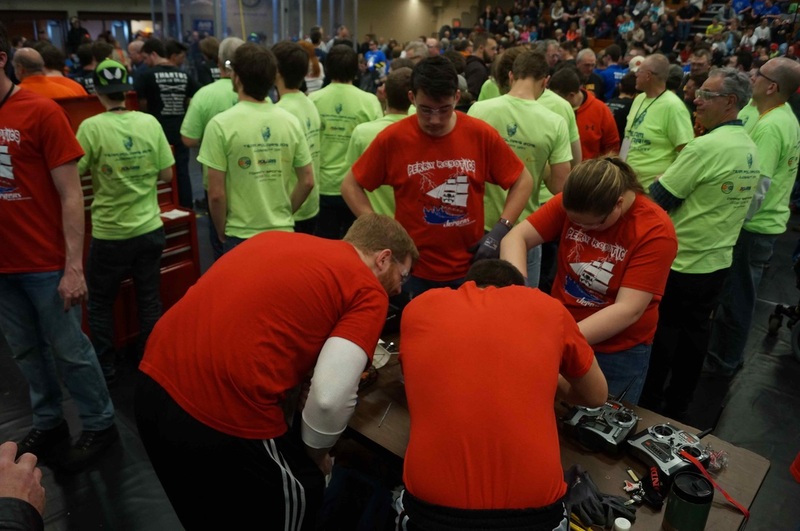 AWT RobotBots: AWT plans to engage students and generate enthusiasm for manufacturing. Battling Robobots provides a framework for schools and businesses to form a mutually beneficial relationship. Students will be afforded the opportunity to participate in a unique experiential learning experience. This hands-on career exploration opportunity will allow them to truly experience what it means to work in manufacturing. Students will leave this experience with an increased awareness of the careers available to them and the educational opportunities linked to those careers. They will work alongside- not watch, work alongside engineers and machinists on the manufacturing floor. In addition they will develop relationships with industry partners that can lead to internship and career opportunities. As a result the students will be able to develop both technical and “soft” skills. 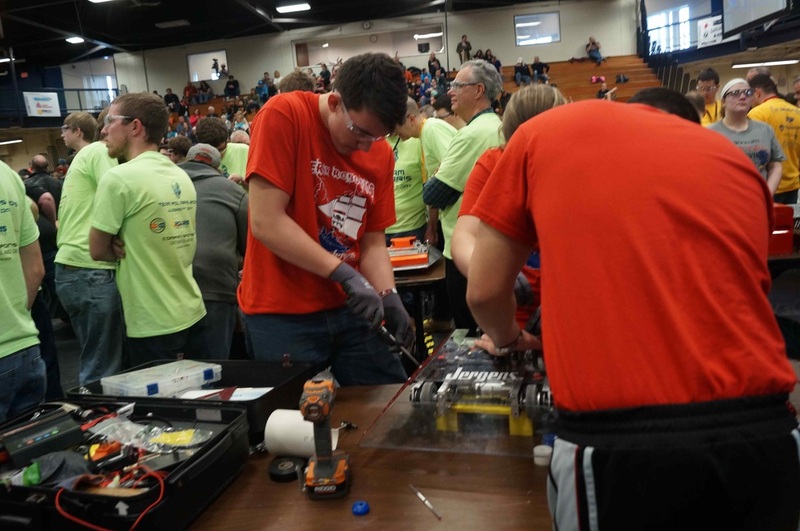 On April 11, 2015, the Perry Robotics Team took first place at the Ohio Regional Mini-Urban Challenge at Wright State University. The Mini-Urban Challenge is a national competition sponsored by the United States Air Force Research Laboratory and the Doolittle Institute that challenges high school students to design and operate a robotic car to autonomously navigate a model city. The team has been invited to compete at the National Competition at the Tampa Civic Center in Tampa, Florida, May 15 - 16. Monetary awards will be presented to the top three teams at the National Competition.